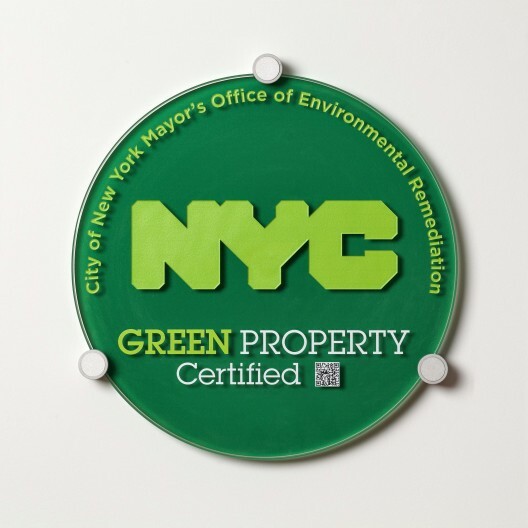 These bold glass plaques have been sand blasted with the Mayor’s Office of Environmental Remediation - NYC Green Property logo. The back of the glass is printed in dark green and the front sand blasting has a light green and white paint infill. 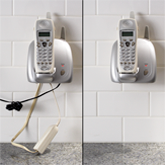 These plaques may be printed with or without the smartag.